The first step for Blemish care! FIRST STAGE OF SKINCARE - Using our Toner is a great way to effectively remove dead skin cells. 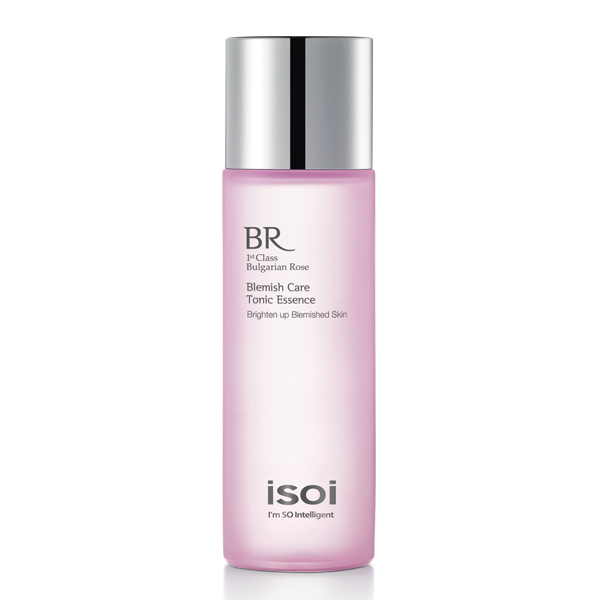 After cleansing and exfoliation, the toner allows the skin to be replaced by fresh new skin cells. Our toner helps to bind moisture to these new skin cells. By using our astringent, you can restore balanced skin quickly without any breakouts and acne. To maximize synergy effect, we recommend you to use the toner before applying serum. BRIGHTENING AND REFRESHING YOUR SKIN SURFACE - Bulgarian Rose Oil is well known for superior absorption of Vitamin A and C into your skin. Rich in Vitamin A and C, this toner can effectively brighten and whiten your skin, making it look healthier and more vibrant. Our facial skin toner contains a high level of essential vitamins which make your skin replenished and revitalized. If you are worried about facial redness after makeup, our purified products will restore your beauty. PERFECTLY SUITABLE FOR ALL SKIN TYPES - we haven't included any stimulating ingredients which could potentially arouse allergic reactions such as alcohol. Formulated with 100% certified natural organic ingredients, our hydrating toner is gently suited for irritated and sensitive skin. Through extracting natural rose water, it can not only purely cleanse your tired skin but also protect it from reactive oxygen. BEST QUALITY OF BULGARIAN ROSEWATER - First, we only extract 1 ml of rose oil from a batch of 3,000 flowers. Bulgarian Rose is well known for their premier fragrance which is used in high-end perfume and cosmetics. Second, we only use 'first' extracted and distilled rose oil. For the best hydrated of rose oil, it is scientifically proven that organic compounds can be found only in the 'first' rose oil and 'first' batch of rosewater. SYSTEMATIZED PRODUCTS LINEUP; TONER/SERUM/CREAM - With over a 20-year history, we have constantly struggling to produce 100% organic, alcohol-free lotion, serum and cream. Based on our cumulative knowledge, we finally launch the “3-Step Skincare.” For those who are suffering from dark spots and skin dryness, our 3-step skincare can definitely be your solution! Using our face toner for oily skin is your first step! Soak the cotton pad with the Tonic Essence. Apply the pad thoroughly and evenly to the face..